Kevin Shuttlewood, Head of Engineering at Nottinghamshire Fire and Rescue Service. 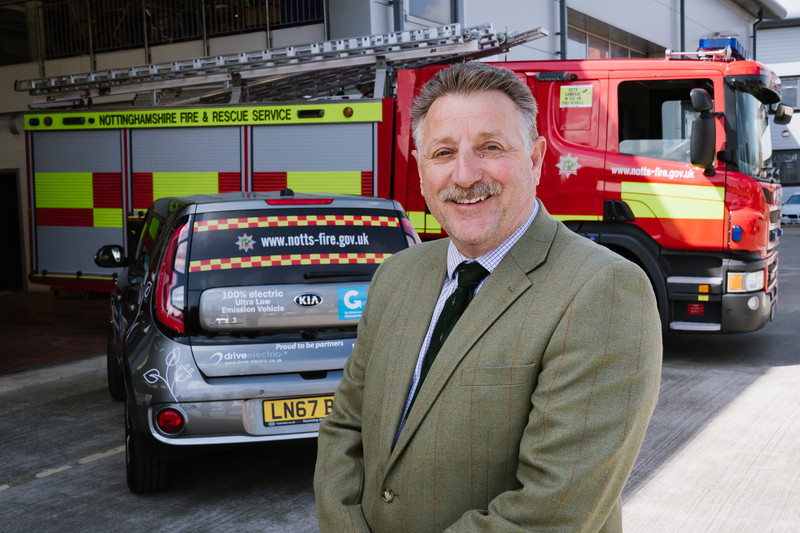 Nottinghamshire Fire and Rescue Service (NFRS) is driving towards an environmentally friendly future by adding a pair of low emission fire appliances to its fleet of vehicles. The two new appliances, which will be based at London Road Fire Station, are both Euro 6 approved, meaning they comply to the latest European Union regulations aimed at reducing harmful pollutants from vehicle exhausts. The vehicles will also be the first in the service to trial the 22mm hoses, compared to the operational fleet currently using 19mm hoses. The new hoses will allow the delivery of an increased (or higher) flow of water at a reduced pressure. The move comes as NFRS has also invested in two new electric, Kia Soul, vehicles, which will be permanently based at Highfields. A number of charging points at stations across the county have also been fitted. The charging points have been funded with a grant from Nottingham City Council’s Workplace Travel Service, which offers support and advice to businesses and organisations in the city. Councillor Sally Longford, Portfolio Holder for Neighbourhood Services and Local Transport, said, “Reducing air pollution is a priority not just in Nottingham, but nationwide. Taking steps to use more environmentally friendly vehicles can go a long way to reducing harmful emissions, and they’re cheaper to run too. The new fire appliances are expected to be in use by NFRS by the end of April.